Meat pies. 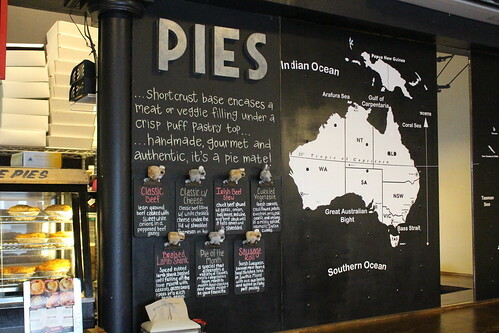 Australian meat pies. 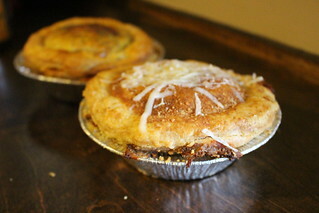 That's what KO Pies in South Boston is all about and these handmade pies are delicious. 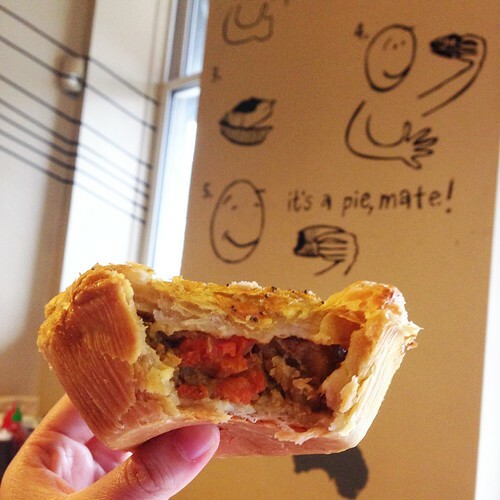 They offer 6 different pies at KO (along with sausage roll, fish and chips, and sandwiches) and there's always a vegetarian option. 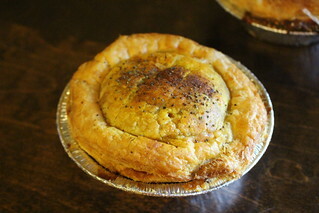 The pies here are great - the crust is buttery and the puff pastry top is flaky! 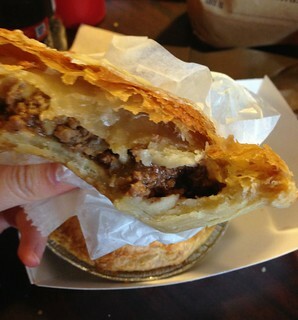 Aussie meat pies are meant to be eaten by hand (see the first photo) so they're made into the perfect size that you can hold up with your hand yet still fills you up enough for lunch. I tried the classic beef with cheese with was filled with ground beef cooked with onions, and the Irish Beef Stew. The curried vegetable was also quite flavorful. Everything I tried was hearty and satisfying. The pies range from $6-6.95 and as I mentioned, one is enough. I had bought two to eat there but could't finish the second one. If you eat your pies there, they have different types of sauces that you're meant to put on top, although any of the pies can be bought frozen to take home! The South Boston location is small and only have perhaps a dozen seats, but you can head to the East Boston location, KO Pies at the Shipyard for the same pies plus beers!